Tired of the usual dinner-and-a-movie deal? (SPOT.ph) Keeping your love life exciting can be difficult. Even when you’re living in a bustling city, things can get repetitive. In fact, sometimes it’s just oh-so-easy to get tired of the same old gimmicks and events happening all over the Metro. So if you and your partner want something different, why not make plans with Mother Nature? Here are seven ideas for your next date. This one’s for the lazy, nature-loving pair. Just grab your binoculars and you’re set. It’s also a peaceful way to spend quality time together. There are various observatories scattered across Manila and Quezon City, but you can also choose to head out of town where there’s less light pollution. Don’t forget to pack a cozy blanket and some hot chocolate! Nothing beats the sound of waves crashing onto the shore. All you need are simple grab-and-go meals, a banig to cuddle and tan on, and maybe a bottle of wine if you’re feeling fancy. 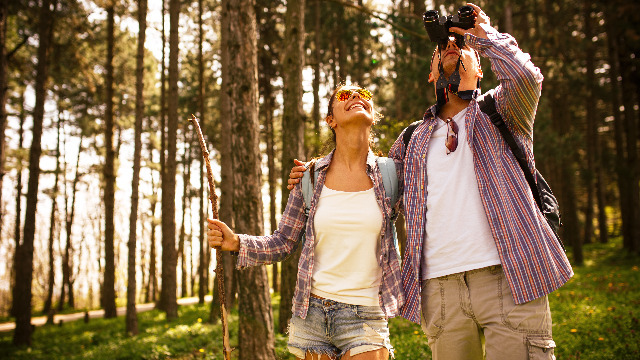 There are so many ways to go camping nowadays, from trendy glamping, to the bare essentials kind, to more casual choices in between. It all depends on your budget and commitment to roughing it. If you’ve got the time and the fitness for it, try trekking up a nearby mountain. Mountains are rated according to their level of difficulty so you can choose one that suits you and your date. For something less strenuous, you can go for a romantic stroll around nearby public gardens, instead. Get a workout as well as a chance to admire the scenery by biking around the local park or up a mountain with your partner. If you’re the cheesy type, you can even rent tandem bikes and really show off how in tune you are with each other. Bringing your date outdoors is a great way to spice things up. But if you can’t manage to head out of the city, there are small things you can do to bring your love of nature into your relationship: like bringing her fresh flowers or watching the sunset together. 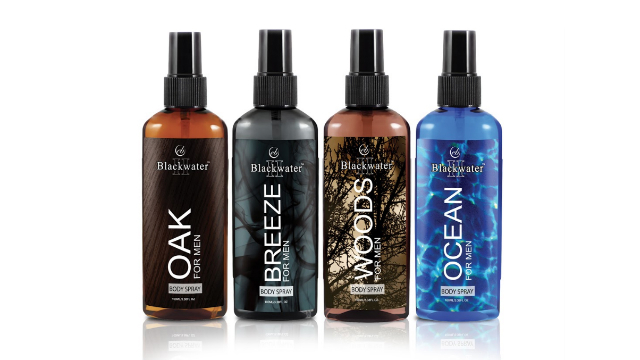 Another subtle way is to make sure you smell good with a nature-inspired scent like Blackwater II Body Spray. It goes for just P120 for 100ml and comes in four variants: Breeze, Oak, Ocean, and Woods. A whiff of any of these will have her leaning in close, so give yourself a spritz before your next date!